Bones, bodies, bunkers and Brexit! It was yet another busy term for Upper School as we learnt about bones, bodies, bunkers and Brexit! Year 4 have been searching for skeletons in the closet as the children found out all about the human bone structure. They constructed a life-size human skeleton and also investigated the bones of different animals. The term culminated in a trip to beautiful Cambridge to see skeletons of all sizes. Year 5 have been learning all about the inside of their bodies, including the digestive and circulatory systems. As well as some amazing scientific diagrams and explanations, the practical investigations saw them dissecting pig's hearts to learn more about the different chambers, vessels and valves to understand how blood is pumped around their own bodies. Year 6 have been enlisted in the ‘Copthill Light Infantry Division’ and, on a sunny afternoon, they finally received their orders to go over the top from Sergeant Major Willson. Sandbags were filled, wartime songs were sung and smoke grenades were launched - all to immerse the children in their World War One topic, and prepare them for the forthcoming visit to the battlefields in France. Qui vivra verra - He who lives, shall see. Happy Easter everyone. 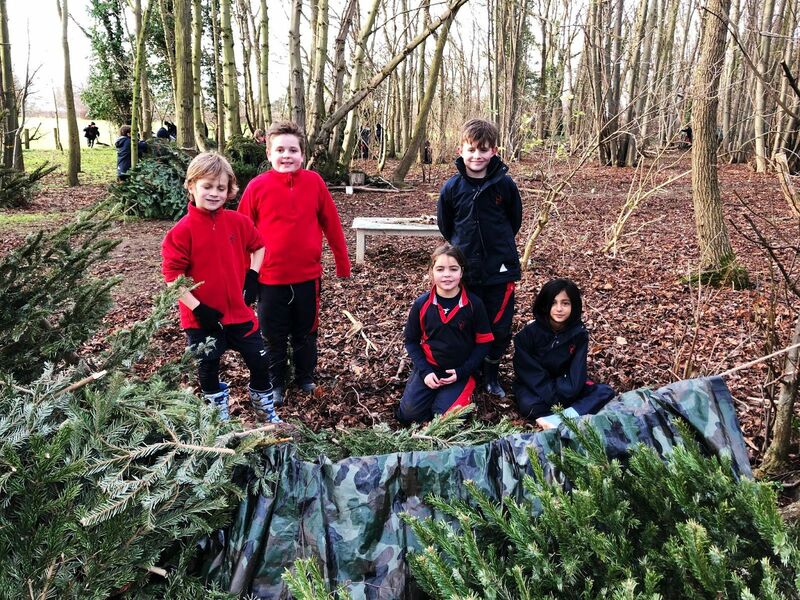 On Tuesday 15th January, Year 4 went to build dark dens in the forest! 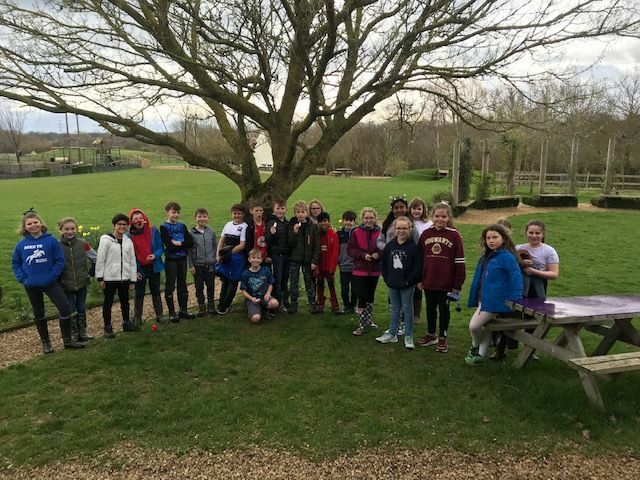 The children were split into groups and after the deliberations around choosing team names were complete, they were given some basic equipment (two Christmas trees; a tarpaulin and some string) and sent off to choose a location in which to construct their masterpieces. The challenge was to see who could build the darkest den and whilst the groups were all successful in this respect, the waterproof factor was a little more entertaining! 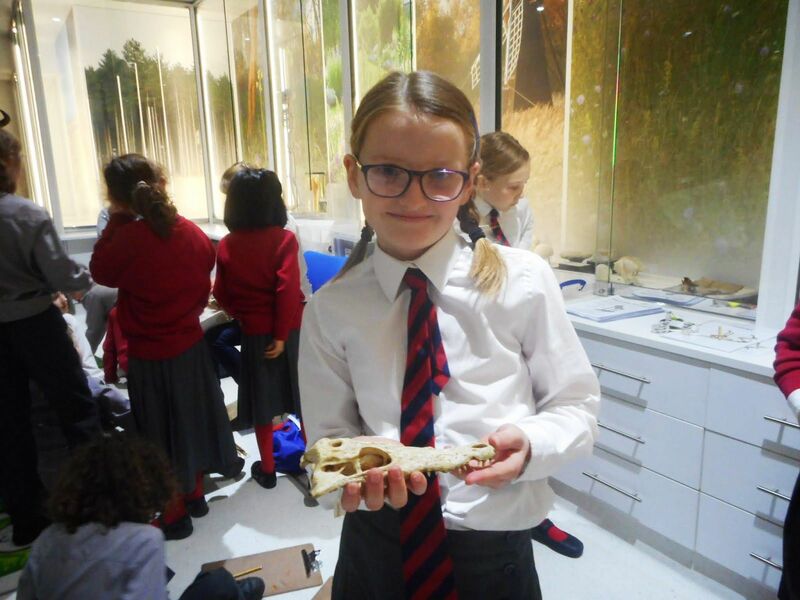 The Year 4 children went on an educational visit to Cambridge visiting the Anthropology Museum, Zoology Museum and some did the Botanical Gardens. Year 5 put their French skills to the test this morning by following directions in French to discover the secret password to gain their treasure. Great practice of French reading and speaking and listening skills. 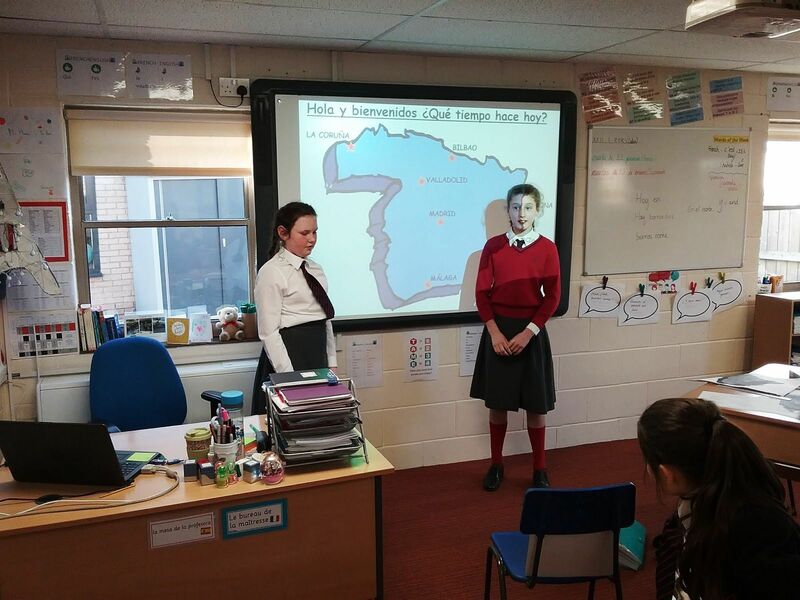 Look at Year 6 presenting their Spanish weather forecasts. They had to write and then present using their newly learnt weather phrases. Muy Bien. El tiempo hoy...hace frio!